The Native American images taken by Edward S. Curtis between the years of 1906 and 1930 are iconic. 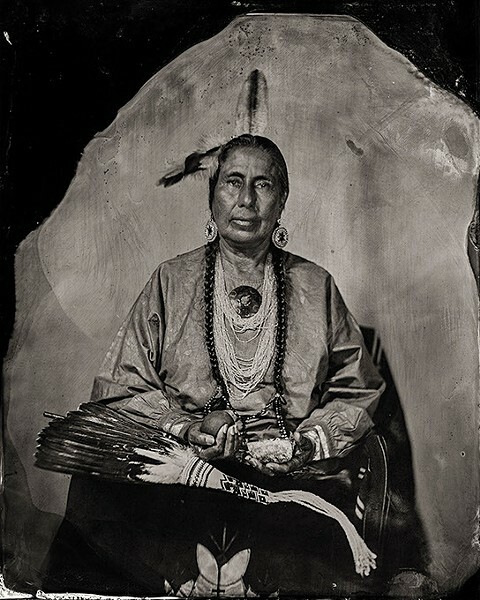 In over 20 volumes of black-and-white images, Native individuals throughout the United States are shown in their tribal regalia with a spiritual aura about them. Yet these images are seen by some in the Native community as romanticized and problematic. For example, many of the women photographed are only identified as Wife of _________, while many children are only identified by tribe. But the Curtis images also are shrouded in the troubling theme of the vanishing race, one that conveyed Native Americans and their culture would disappear entirely if non-Native photographers such as Curtis werent there to capture them on film. I think theres great value in those images in that theyre beautiful, said Navajo photographer Will Wilson. But then I also think that this notion that Native Americans are vanishing is dangerous. 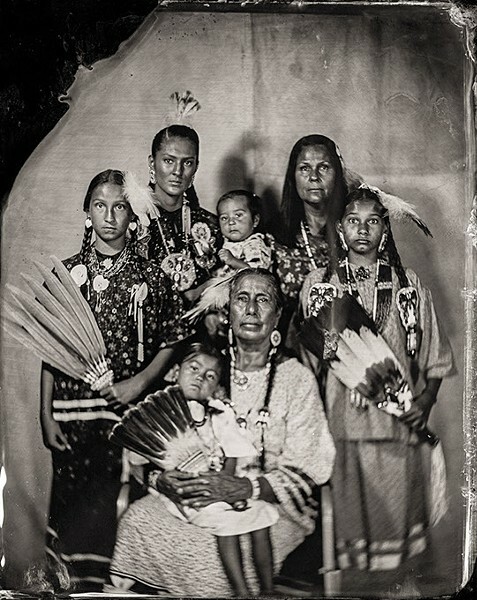 Wilson, the head of photography at Santa Fe Community College, has respected exhibitions to his credit that include Critical Indigenous Photographic Exchange (CIPX) and Auto Immune Response. Wilson sought to recreate Curtis images using people from the same Oklahoma tribes as Curtis North American Indian Volume 19, The Indians of Oklahoma: Cheyenne, Comanche, Ponca, Wichita, Osage, Pawnee and Otoe. However, Wilsons work  PHOTO/SYNTHESIS  differs from Curtis significantly. Rather than the photographer acting as sole artist, Wilsons work is done in a spirit of collaboration. 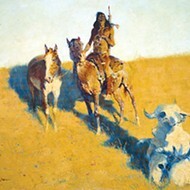 This includes Wilson, the seven tribal governments and the University of Oklahomas Fred Jones Jr. Museum of Art (FJJMA). 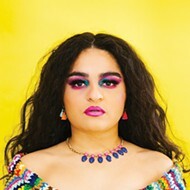 While Wilson is the photographer, he gives a great degree of credit to Chickasaw and Choctaw artist heather ahtone, FJJMAs James T. Bialac Associate Curator of Native American and Non-Western Art. The central question that [Wilson] and I arrived at was How could images be created that have their starting point in the beautiful images of these tribal community ancestors? How can we make [Native communities] involved and make them full partners in the creation of these images? ahtone said about collaborating with the tribes. The initial concept became a two-year process of approval through the museums internal committees and gaining trust with tribes political and cultural representatives. 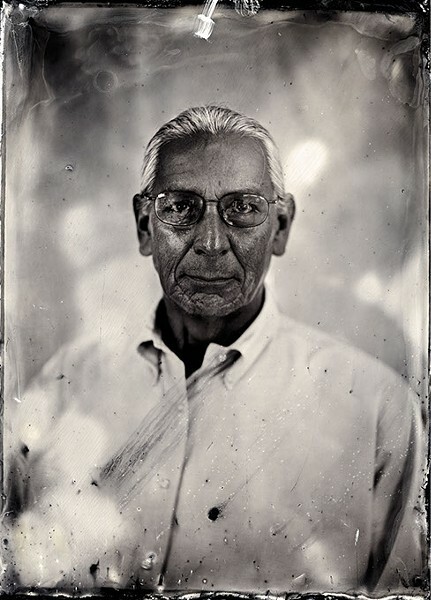 Originally, the goal was to photograph direct descendants from those in the Curtis works. However, this wasnt always an easy task. In some cases, identification wasnt possible. 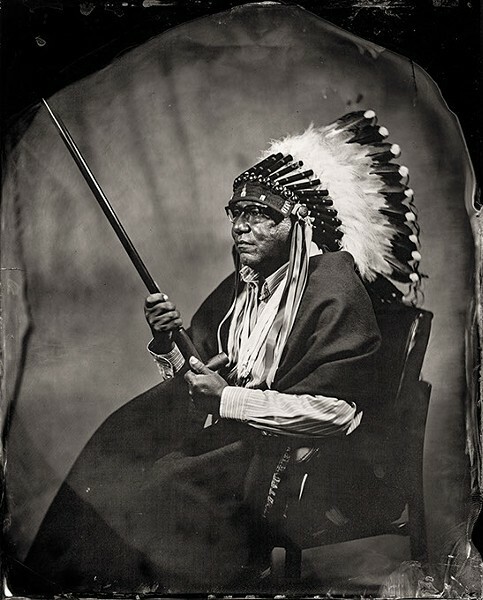 When this happened, tribal leaders designated those who would represent the tribe for the exhibit, with many choosing to wear traditional regalia for their portraiture. By the time they took the photos, summer 2016, more challenges arose. In order to keep with the authenticity of Curtis technical approach, Wilson went to great lengths to use both authentic equipment and the development process. 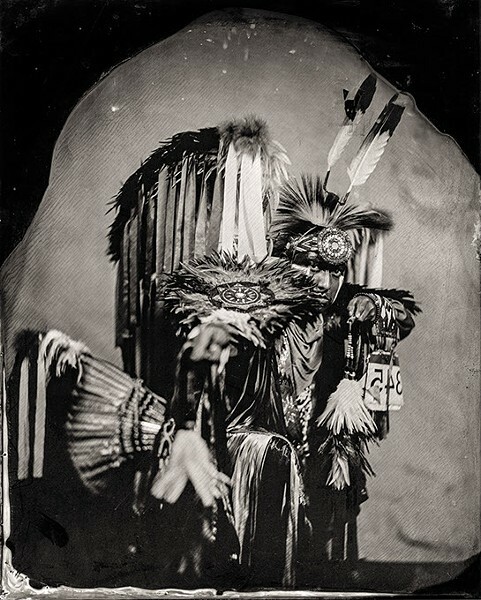 This included a Civil War-era lens, a wet-plate collodian onsite processing of metal plates, people within the portraits having to be still for a minimum of seven seconds and the challenge of using chemicals with a 95-degree boiling point in the post-100 temperature of Oklahoma summers. Some of the solutions included a portable ice-fishing tent as a darkroom and keeping the chemicals on ice in a cooler. 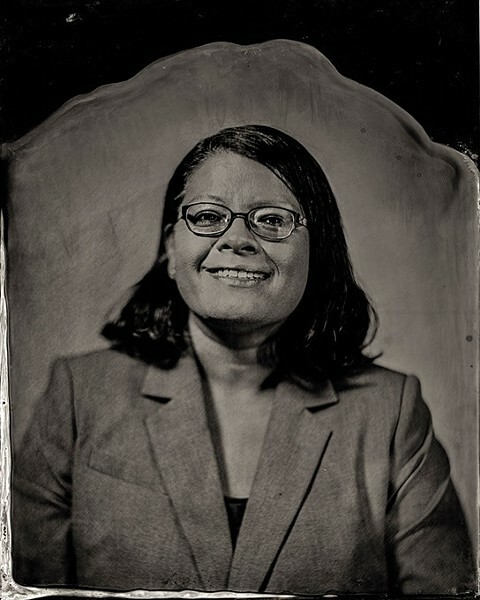 Wilson also combined the techniques of another time with the digital age, giving participants digitally scanned images of their portraits in addition to the developed image through wet plate development. However, some aspects of the older technologies were left intact, such as lettering on T-shirts remaining backwards. More than 400 guests attended the Jan. 26 opening, including over 50 of the 123 portrait participants, some driving from as far as Pawnee and Pawhuska. The final exhibit includes 53 new Wilson photographs and 33 of Curtis images shown for comparison. 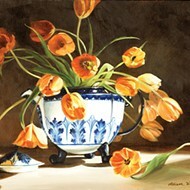 The sizes include both the original plate size and enlarged images. Selected video images of Wilsons portraits are additional treats in the exhibit. Called talking tintypes, these video images can be viewed on either a smartphone or tablet through the Layar app. PHOTO/SYNTHESIS continues through April 2 in FJJMAs Nancy Johnston Records Gallery, 555 Elm Ave., in Norman. 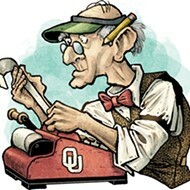 Visit ou.edu/fjjma or call 405-325-3272. Print Headline: Native imagery, Fred Jones Museum and Oklahoma tribes collaborate on PHOTO/SYNTHESIS.